The Church’s Precept to attend Mass on Sundays and Holy Days: just a human rule or a divine command? Nobody likes to think that a loved one potentially might have been judged by God to not be worthy of heaven. Nobody likes the idea of mortal sin, that we can commit an offence against God such that we are no longer in charity with Him. What we would like to be true is that God will judge everyone we like or love to be worthy of heaven, and that mortal sin is a pretty rare phenomenon. Of course what we would like, and what is true, are not necessarily the same! So the important question is not what I would like but what God has revealed to us about these matters. In an article in the Catholic Herald, “Orthodoxy, sin and heresy”, Fr Rolheiser raised some of these issues. Unfortunately Father set up a straw man to argue against and proceeded to promote mostly half-truths. What was very unfortunate is that he seemed to question the seriousness of the Church’s teaching on obligatory attendance at Sunday mass. In doing this however, he does express a very common misconception. He refers to the obligation to attend mass on Sundays and Holy Days as ‘ecclesial rules’. This is unfortunate because it implies that it is merely a rule of the club established by human authority alone. Nothing could be further from the truth. The obligation to attend Mass on Sundays et al, is an expression of divine charity. This obligation together with the other precepts of the Church, answer a critical question: - what is the minimum I need to do to guarantee I am living the Way? The Church’s Precepts, together with a spirit of prayer and moral effort, give us the bottom line of obedience to maintain a minimum relationship of charity with God, and one that means we are growing in love of God and neighbour. It is helpful to understand a little about why this is. God calls all His family to gather together on His day, the Lord’s Day, in order to offer right worship. We do not offer right worship just by doing what we want to do, when we want to do it. Ever since the Fall of mankind from grace, the human heart has tended away from right worship and delighted in all sorts of false worship. If you listen to the accounts of God’s People, the Jews, in the Old Testament, you listen to a story of a people repeatedly falling from the right worship of God into false worship. The very first and most important commandment of the Ten Commandments of Moses is to have no other gods, to not worship false gods, which is part of the great Commandment to love God with all our heart, soul and mind. As our Lord said to Satan, “You shall worship the Lord your God and him only shall you serve.” So it is clear that we need to be trained to offer right worship because it does not just come to us instinctively. So briefly, the Church gives us liturgy to follow and instructs us how to behave and what we should do, and when. In worship we express what is of ultimate worth in our lives, and therefore to refuse to worship or to prefer other things to worship is to effectively say, other things are more important to me than God. Worship is about humbling ourselves before our God. The training of worship is a training of the human heart to grow in humility and realise that all good comes from God alone. That is why to deliberately fail to fulfil this obligation is to commit a grave sin. Father Rolheiser, in the process of questioning this precept, raises the question of the state of the souls of those who lapse from the faith especially those who choose to stop worshipping, or who only worship when they want to. He suggests that if they have a good heart then that will trump the flouting of the ‘ecclesial rule’. This is misleading. Whether or not we think subjectively that someone has a good heart, that does not mean they haven’t rejected God in their heart. Neither Fr Rolheiser nor I know whether a person is worthy of heaven, in terms of how they have responded to the grace God has offered them. What we do know is that to lapse from right worship (i.e. to not obey this precept without just cause) is potentially to reject God and is certainly a grave sin. Mortal sin has both objective as well as subjective elements. The objective element is the type of sin, in this case the obligation to attend mass on Sundays and prescribed Holy Days (with all the merciful exceptions to this precept). So anyone who lapses from this precept is effectively at risk of hell until repentance. The subjective element has also to be fulfilled which is what God alone can judge rightly. The subjective element is that we made the choice freely to sin and that we knew what we were doing (have a right understanding of the sin). This subjective element can be difficult to discern in ourselves let alone in another, so it is a perennial counsel to confess all sins that are grave whether or not we think they fulfil all conditions for a mortal sin. We must also do all we can to help a lapsed catholic return to right worship not least in praying for their soul, perhaps doing penance for them and when appropriate try to instruct them in the seriousness of their choice to fall away from mass (but we need to use wise words and choose a good moment). The Church teaches us that in committing a mortal sin we destroy charity in our heart thus turning us away from God and we show we prefer an inferior good to Him. If we die in such a state we will not enter heaven – we will be in hell. It is not a nice thought, and we do not like to think anyone will deserve it, but nevertheless it is a consequence of mortal sin – the consequence of our own moral choices. We might wonder if the church allows for exceptions to this precept. Well it does. For example those who are sick, those who are caring for the sick or who have the care of infants. It is also possible to ask for a dispensation from one’s pastor who will need to judge whether your circumstances warrant a dispensation. The pastor may also choose to commute the obligation to something else. This is done when for example over a long period of time someone must work on every Sunday. In this circumstance the pastor may, for example, commute the obligation to another mass during the week. So in conclusion the teaching of the Church as expressed in the Catechism of the Catholic Church is that to fail without just cause to attend Mass on a Sunday or Holy Day of obligation is indeed a grave sin. If this sin is committed with full knowledge and deliberate consent then it is a mortal sin (although only God knows whether this is definitely the case or not). Dying unrepentant of mortal sin means not entering heaven and our destiny is necessarily hell for eternity. God does not desire that anyone be lost, but the possibility of hell as well as the possibility of divine charity, are both a consequence of our human freedom. 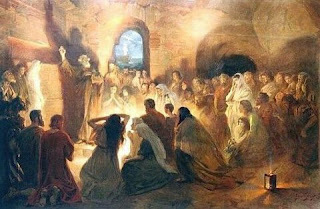 The first precept ("You shall attend Mass on Sundays and holy days of obligation and rest from servile labour") requires the faithful to sanctify the day commemorating the Resurrection of the Lord as well as the principal liturgical feasts honouring the mysteries of the Lord, the Blessed Virgin Mary, and the saints; in the first place, by participating in the Eucharistic celebration, in which the Christian community is gathered, and by resting from those works and activities which could impede such a sanctification of these days. The second precept ("You shall confess your sins at least once a year") ensures preparation for the Eucharist by the reception of the sacrament of reconciliation, which continues Baptism's work of conversion and forgiveness. 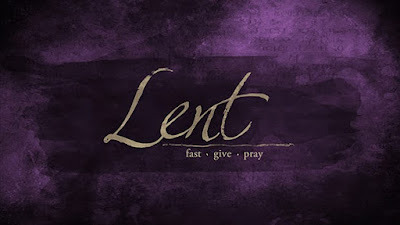 The third precept ("You shall receive the sacrament of the Eucharist at least during the Easter season") guarantees as a minimum the reception of the Lord's Body and Blood in connection with the Paschal feasts, the origin and centre of the Christian liturgy. The fourth precept ("You shall observe the days of fasting and abstinence established by the Church") ensures the times of ascesis and penance which prepare us for the liturgical feasts and help us acquire mastery over our instincts and freedom of heart. The fifth precept ("You shall help to provide for the needs of the Church") means that the faithful are obliged to assist with the material needs of the Church, each according to his own ability. The section in the catechism dealing with the Third Commandment would also be of help to understand this precept. You can find it here: CCC 2168-2188. Fr Rolheiser has published this on his website as during January 2017. Catechism of the Catholic Church, 2041. Exodus 20:2-5 cf. Deuteronomy 5:6-9. Catechism of the Catholic Church, 2181.